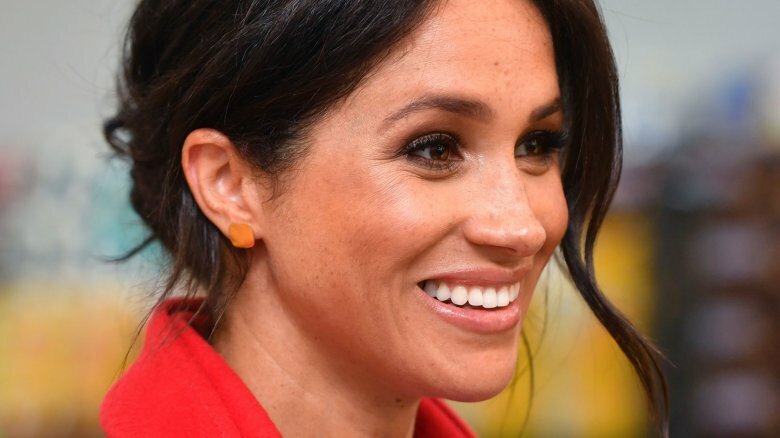 Duchess Meghan Markle is sharing some major news about her pregnancy. According to multiple media outlets, the Duchess of Sussex reportedly revealed the royal baby's due date on Monday, Jan. 14, 2019, while greeting onlookers in Birkenhead, England's Hamilton Square alongside husband Prince Harry. The royal couple are expected to welcome their first child together in either late April or early May, E! News reports. "We asked her how her pregnancy was going and she said she was six months and she tapped her tummy," one woman told People magazine. Meanwhile, another well-wisher claimed that the mom-to-be couldn't help but gush about Prince Harry, saying, "He's going to be a fantastic dad." As for the royal baby's gender reveal, Rebecca English of the Daily Mail claimed via Twitter, "Meghan said she didn't know whether they were having a boy or a girl. She said she wants it to be a surprise!" As Nicki Swift previously reported, Markle, 37, and Prince Harry, 34, who tied the knot in St George's Chapel at Windsor Castle last May, first announced that they were expecting baby no. 1 in October 2018. At the time, Kensington Palace simply tweeted that their first child was expected to arrive sometime in the spring of 2019. 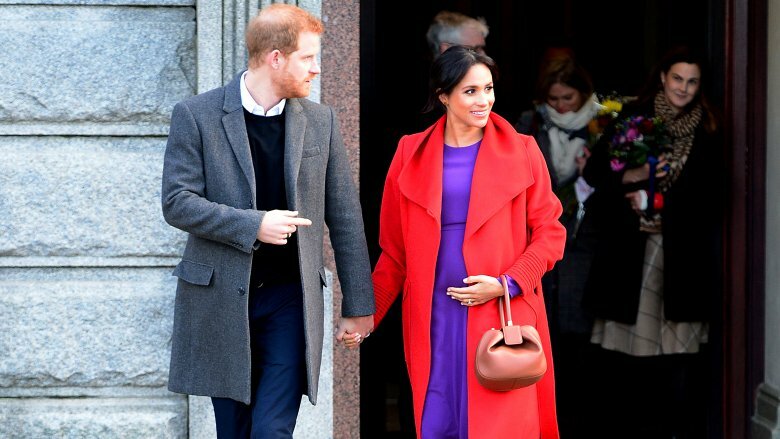 More recently, however, the former Suits actress herself shared some insight into her due date during a royal outing on Christmas Day in Sandringham, England. "She said, 'We are excited. We're nearly there.' I said, 'Enjoy every moment, being a mother is a wonderful thing,'" one fan told the E! News at the time. "You know what? She was so genuine. She was doing her duty as a royal with the crowds, shaking hands, etc. But when I asked her about the baby, she changed totally. She was glowing and instinctively went for her stomach. It was lovely." While the world awaits the newest addition to the British royals' ever-expanding family, the Duke and Duchess of Sussex have understandably been keeping busy preparing for their first kiddo's birth. According to a source cited by Us Weekly just last week, the married pair are currently scouting out hospitals where Markle would be able to deliver their baby in a comfortable setting. "It will be much less chaos and more of a private event than if she gives birth in London [at high-profile St. Mary's Hospital] like Kate did," the insider explained, before noting that the royal couple's reported top contender, Frimley Park Hospital, is conveniently located about 20 minutes away from their Frogmore Cottage home in Surrey.